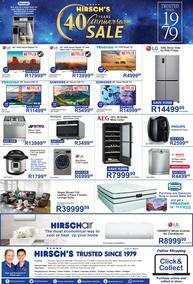 Hirsch's is the ultimate home appliance store operating in Kwazulu-Natal, Cape Town and Gauteng. 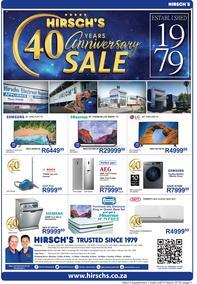 By the end of 2012, Hirsch topped the R1 billion turnover mark. 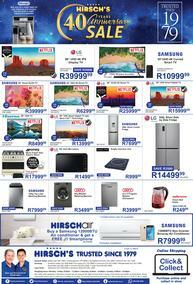 Hirsch's started out as a single store, first specializing in repairs and second hand appliances. 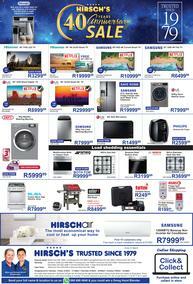 From there they grew into a full appliance, electronic and household goods retailer. To this day Hirsch's stores are still a family run business, with all 4 members actively involved in all day to day operations. Margaret, the CEO of Hirsch’s is a true entrepreneur who sees potential where others see obstacles. When the microwave first came to SA, Margaret embraced the new technology and started a microwave cooking school. From there she produced the first Hirsch’s microwave cookbook, which is still available today. She has also been crowned Business woman of the year by Entrepreneur and has been nominated as the most influential woman in retail in SA. The Hirsch’s family together form an unstoppable force. They are backed by a strong management team who are committed to the same goals as the Hirsch's family. They also have over 600 permanent staff and about 400 casuals. They are also very much involved in a range of CSI initiatives, including various charities and sponsorships. They have not outgrown any of their stores, just built bigger ones. They also constantly strive to provide better service and empower their staff to achieve their goals. 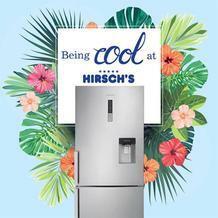 Hirsch's believes that in order to grow in the business world, the employee must be hungry to succeed. They must be aware, flexible, proactive, able to change and strive for improvements. Family is essential and you are stronger standing together than alone. Hirsch's strives to provide their customers with the right products, at the right price in a friendly and client centric environment. They aim for happy, satisfied customers who will always return and their mission is to provide superior, unparalleled service to their customers. Guzzle showcases a wide range of Hirsch's specials available on all their products, so keep your eyes peeled! 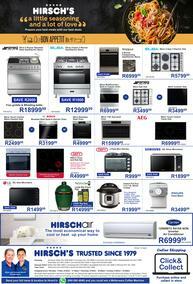 Browse Guzzle to view Hirsch's catalogues online to find that great Hirsch's special for you!